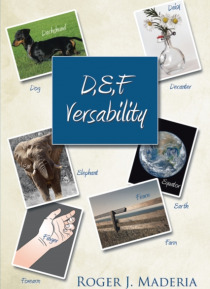 VERSABILITY takes the enjoyment of verse that you may have had withnursery rhymes, jingles or songs and puts it into a dictionary of commonnouns. Then it takes these common nouns and groups them into categoriesrather than alphabetical order. Finally a RHYME TIME challenge is addedto encourage repetition and a family or friendly game. Build a great vocabulary. Its one key to succeeding. Share… some time together. Have some fun with reading. Enjoy!